Granite State Race Services, LLC has been providing road race timing, management, and computer services throughout New England and beyond since the early 1980s. From the summit of Mt. Washington to the starts of the New York City Marathon, we time and score over 200 events each year including road races, cross country meets, triathlons and biathlons, bicycle and canoe/kayak events. "For race directors, producing quality events is all about choosing the right partners. Providing immediate and accurate results is imperative. DMSE Sports has partnered with Granite State Race Services as one of our preferred timing companies for over 25 years. They have timed and scored more of our events than any other company. Efficiency, cooperation, dependability, innovation and precision are just a few of the qualities they bring to our events." Contact us about your specific sponsor promotion requirements. For more excellent advice in working with sponsors, go to our ChronoTrack partner's blog or download their comprehensive, 25-page "Race Directors Guide to Working with Sponsors." 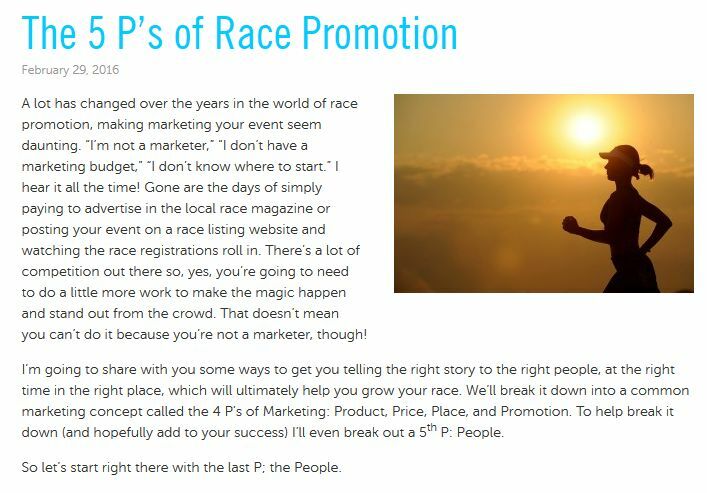 Check out the blog from our ChronoTrack partners full of event marketing ideas, as well as the race promotion ideas page on our website. Can you explain age grading and age graded times? Age grading is a way to compare the performance of runners of all ages and both genders with one another on a level playing field. When your time is “age-graded” it is calculated as a percentage of the “ideal” time for your age and gender at that distance. This allows races to give awards to the runners with the best performance for their age. It is also frequently used in team scoring so that awards can be given to the teams whose runners turned in the best performances. Follow the link below to calculate your own age-graded time. I have an asterisk after my time in the results that stands for "Under USATF Age Group Guideline." What does that mean?